The following interview was conducted with Ilham Ehmed, a member of the Executive Committee of the Movement For A Democratic Society (TEV-DEM), by Günay Aksoy Zana Kaya for Özgür Gündem. 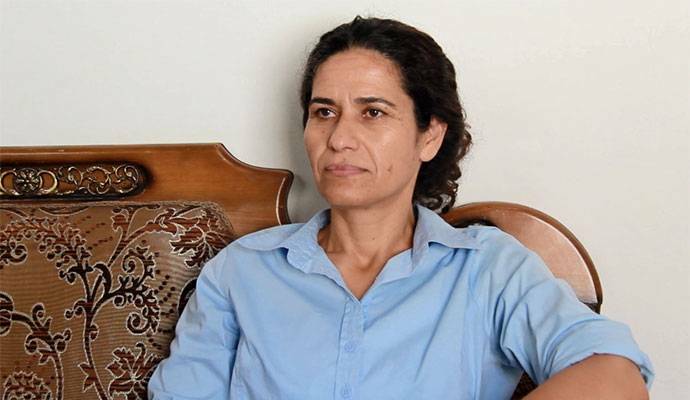 In the interview Ehmed talks about the current state of the civil war in Syria, recent attempts by the United States and Russia to develop alliances with the PYD and other parties in Rojava, and the efforts to create a democratic Syria. It has been translated into English below. -The foundation of a new group called the Democratic Forces of Syria (HSD) has recently been announced. What role will this group have in the future of Syria? There has been a war underway in Syria for a long time. Many different armed groups merged and many received substantial support from foreign powers. The regime has also gone on the attack without any mercy. And its attacks are still continuing. There are many things lacking. These different armed groups were never able to build alliances among each other. They fought against each other in an effort to destroy one another. In particular each group sought the support of either Saudi Arabia, Qatar or Turkey. As a result each group fought for the interests of the country from which it received support. For this reason no larger force emerged. Now this force is in the process of emerging from the Democratic Forces of Syria. These are democratic groups. The program and the project of this newly formed group will take as its principle the democratization of Syria. 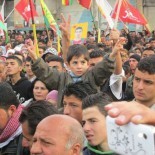 With the beginning of this new struggle undertaken by these groups are are seeing a new sunrise in Syria’s future. This situation will lead all groups in Syria in coming together in unity. -For a time Turkey had been targeting the PYD and making threats. What does it mean that Turkey’s enmity toward Rojava is once again on the agenda? -Operations against Jarabulus and Rakka are on the agenda. How are Russia and the United States approaching these operations? Projects for Syria have always been changing. They were going to offer support up to a point, to the banks of the Euphrates, and they have continued to offer such support. Russia is now intervening in Syria. This intervention has led to strong reactions on the part of other major powers. America was saying that it would solve the situation in Syria along its own lines. Now with the intervention of Russia, which is known as a revival of the United States, practical results are being achieved. For this reason as this intervention was developing it has developed new projects. Within this framework one can say that they are looking positively at a push against Jarabulus or Rakka. -How is the relationship between the Rojava government and the United States and Russia important in terms of the democratization of Syria? The Kurds have a project now. In particular we can talk about the project of a Movement for a Democratic Society. It is carrying on specific work toward the construction of a democratic Syria. Toward this end it has been working on a specific project for over six months. While the United States and Russia have accepted this project many, and in particular Russia, are not thinking about a Syria without Bashar al-Assad. The United States on the other hand has said that there cannot be a democratic Syria with Bashar al-Assad. And so there are contradictions here and negotiations will go forward on these foundations. Both ourselves as well as the United States and Russia want the democratization of Syria. Without our project we want to bring together all ethnicities, peoples and cultures. While Russia claims to be of the same mind and to want the same thing it also wants Bashar al-Assad to remain in Syria and to impose this. Whenever the terrorist groups fall into line and the regime comes to a certain point then there can be a chance for reaching out and making alliances. -How will Russia’s de facto intervention in Syria and the attacks carried out by Turkey-supported ISIS on the al-Nusra Front and other terrorist groups affect the existence of these gangs in Syria? We can characterize Russia’s strike against al-Nusra and its intervention against these terrorist groups as a kind of development and a step forward. It is thought that there are groups attached to the Free Syrian Army (FSA) in Aleppo, however the situation is not as imagined. For example when al-Nusra entered Idlib all groups came under the sway of al-Nusra. al-Nusra did this. All the aid that came to these groups in fact went to al-Nusra. Just the other month a group that had been trained by the United States was immediately compelled to join al-Nusra as soon as it entered Syria. We saw how all of the weapons and supplies ended up under al-Nusra control. We can say that Russia’s intervention is aimed at clearing out al-Nusra. On the other side ISIS wants to advance as far as the city of Aleppo. Russia is also hitting them there. This is opening the way entirely for ISIS. The battle in the rural areas of Aleppo will get worse. Even so it is a good thing that Russia is striking at these groups. In the end there is no difference between ISIS and al-Nusra. Both of them are terrorist groups. What is important is whether or not we can move these other groups toward a more democratic foundation. Russia needs to show this kind of approach and attitude. -How do you evaluate the massacre carried on the democratic forces in Ankara by ISIS and President Erdogan’s government? The Ankara bombings and terrorist attack were an attack and a massacre carried out against all democratic forces. A new democratic understanding had been developing in Turkey. And the HDP was leading these efforts. The struggle of the Peoples’ Democratic Party (HDP) and those marching with it were gaining a new understanding from different democratic elements and different ethnicities. Turkey was scared by this and reacted accordingly. It terrified Turkey that a newly formed party which had won so many votes would attract just interest and sympathy. They began to ask themselves what would happen if a party that had come together so quickly could move forward even more. The AKP looked upon these democratic understanding as its own death. This attack and massacre was a part of a plan and program directed against free individuals and a free society. -As part of the Rojava government you are taking part in international diplomatic meetings. Have you had any communication with the United States? How have your visits with them gone? I can say that our meetings have gone well. The United States is a point of changing its thoughts about the Kurds. In the past it had fears and concerns. Like who were the Kurds dealing with and from whom were they getting support. They had a series of questions such as how many forces do they have and how much will they be able to resist. When we compare it with the past it appears in our most recent meetings that even if there are still many question marks in this latest process there was an atmosphere in which we sensed they had received answers to the questions they asked. They received their answers from both a theoretical and a practical perspective. In this meeting they didn’t ask “what is the level of relations between the regime and the PYD.” They let us know that they reached the opinion that our two forces were the fighting on the same front in regards to the subject of Syria. We also saw them use words along the lines of “we recognize you both as the military power in Rojava and your political will and that there is such a force.” They made it clear that they would support us. They made promises that they would support this project materially and in every other aspect. We can say that a new door and a new path is now being considered in the United States. They said that they would support the Kurds and work together with them in a diplomatic relationship built on friendship. In this respect we can say that the United States has opened a new diplomatic door. We discussed the democratization of Syria more than any other topic. They asked us which groups have joined in this project. We made it clear that we have endeavoured so that every ethnic group in Syria would take part in this project. They looked very positively upon this project and said that they would support it. For us it was a surprise. The United States and Russia have discussed things amongst themselves and have come up with their own formula. As Obama and Putin met to discuss dividing up the tasks of who would attack which targets and who would stay away from which areas Russia immediately went into action which everyone else taking part in the meetings was upset with these actions and this attitude. They no longer knew what the other parties were doing. We went there and took part in the meetings. They were still debating what needed to be done. While the democratization of Syria urgently requires is the formation of a force. They immediately said they would support the newly formed Democratic Forces of Syria. I can say that there has been positive support against both terrorism and the regime’s dictatorship. They came out with the understanding that they would completely support the Kurds. As all of the details were being put onto the table we thoroughly discussed it all amongst ourselves. Right now Rojava occupies Turkey’s entire agenda. -It is also known that Russia has wanted to establish good relations with the Rojava government. The fact that both Russia and the United States have sought to built an alliance with the government of Rojava has elicited strong reactions from Turkey. What level of effect will Turkey’s reaction regarding Rojava have on these two powers? While Turkey is trying to change its own agenda with such warnings it also experiencing a period marked by deep chaos and stalemate. It started a war against the PKK. The PKK once again declared a period of ceasefire. Turkey has once again fallen into a hole. While Turkey’s government is attempting to start a war the PKK opted for a cease-fire. While Turkey is getting no where all major powers have requested that Turkey once again sit down at the table and enter into a dialog with the PKK. They want them to re-start the peace process. When Turkey attacks Rojava it is also attacking the foreign powers supporting Rojava. Turkey’s entire agenda is Rojava and the government of Rojava. While Turkey is drawing up meaningless schemes there strong reactions and attacks will not create anything for them. We have always wanted to develop a relationship of friendship and neighborliness with Turkey. *The DTP was in fact one of the predecessors to the Peoples’ Democratic Party (HDP) which is currently running in Turkish parliamentary elections. I do support the ideology of democratic federalism as promoted by Ocalan but ethnicity as a foundation leaves me nonplussed. Only by aggressively reaching out to Assyrians, Turkmen, Arabs – can the Kurdish people gain a safe inclusive home. Education of a properly democratic culture is the keystone which may serve to alienate the existing state apparatus from the oppressed “citizen’s”. Lord knows the boarders as they exist are nothing but a means the state uses to coerce human beings. In exactly the same way the pig farmer holds his pigs in a sty before slaughter. This entry was posted on October 27, 2015 by --- in Uncategorized and tagged al-Nusra Front, Ilham Ehmed, ISIS, Kurdistan, Movement For A Democratic Society, PYD, Rojava, Russia, TEV-DEM, Turkey, United States.